As a club we want to encourage more people to paddle more often, become independent paddlers, and ensure people have the skill, knowledge, and confidence to do so safely. 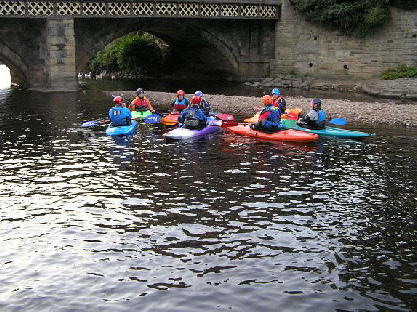 Coached sessions and led river trips will always be a key part of what the club offers helping people develop their skills and knowledge under the watchful eye of our fab volunteers. But there comes a time when paddlers need to become a bit more independent and venture out as part of group whether that is to explore new places or just get on the water more often. However, club policies have limited this a bit in that, you could only use club equipment on coach lead sessions , or by arrangement with the Equipment Officer. So if you didn’t have your own boat etc you were a bit stuck. But why shouldn’t members (who are competent paddlers) be able to borrow club boats and go for a paddle on the river or canal close to the club – our Home Waters? With that in mind we reviewed and rewritten a load of club policies over the winter to enable ‘independent paddling’ at the club and to provide guidance it members on appropriate river levels and the skills and experience to paddle at those river levels. 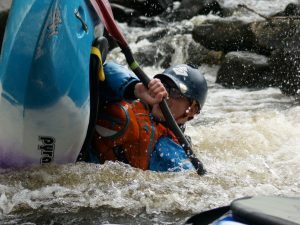 Of course no policy makes you safe, and those wanting paddle independently should make make sure they know the hazards and risk associated with our sport and how to stay safe – which is what our coaches sessions will look to do. Before we go to far we need to be clear on what we define as Home Waters that these policies apply to. So Home Waters are defined as: the stretch of the river Calder from below the Double Weir down to the egress steps at the bottom of the white water course and the canal between Luddendenfoot and Salterhebble locks (see the map on the club notice boards or find it in the Policy’s section.). The following is only a brief summary of the policies. The full versions can be found on the policy section of the website (add link), the key documents are posted on the boards in the club and further advice can sought from club coaches or myself. A clear description of the river level relating to either the weir at the get on or a marker at the foot of the blue egress steps. Information what club coaches sessions can take place at that level of either the flat water or the white water sections and what qualification the coach / leader should have. Guidance for members about the skill / experience needed to paddle independently. A copy is on the board at the club or find it in the Policy’s section. This covers all club sessions on Home Waters, and is what our coaches work to. Obviously anyone paddling independently would be wise to be aware of the risk and precautions this highlights. A copy is on the notice board by electric cupboard or find it in the Policy’s section.. This is something every member should be familiar with. As well as setting out when club boats and paddles can be used on home waters for independent paddling, this highlights members responsibilities when using club equipment – i.e. Checking it is in good order, looking after club equipment, reporting damaged or lost equipment. If you want to borrow club equipment to us on a trip or activity away from the club this policy also tells you how to arrange this. A copy is on the board at the club or find it in the Policy’s section. 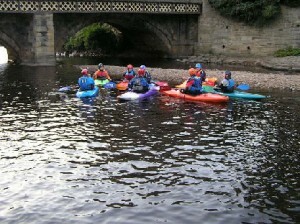 At the under 18’s should paddle either with a coach or under the supervision of their parents. 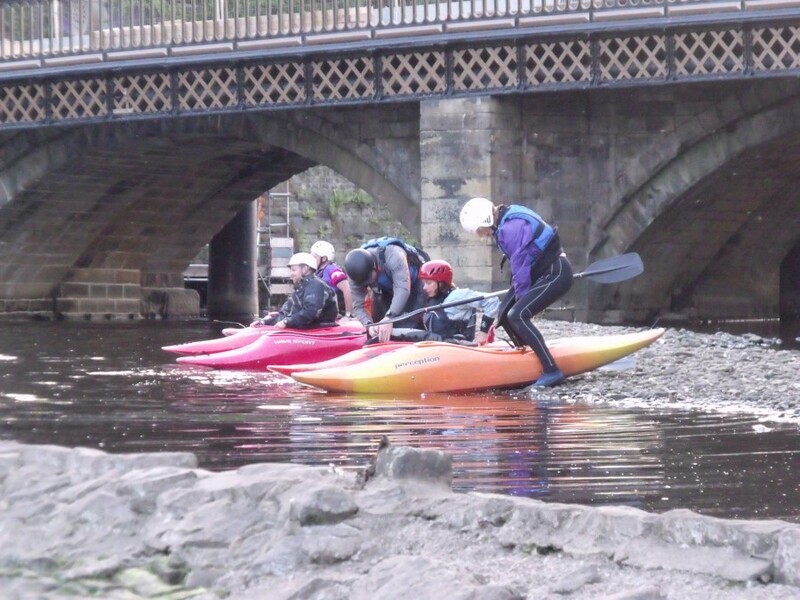 The club also wants to encourage young people to become independent paddlers, so has a long standing policy to enable member age over 16 to be signed off by the Coaching Officer to paddle as part of a small group without parent or coach supervision. This has been updated to reflect the new River Conditions levels – find it in the Policy’s section.. So while it sounds a bit bureaucratic in places, this is all about helping people to paddle more! So think about, speak to your coaches (or me) about what you are looking to do and how they can support you to achieve this through club sessions.